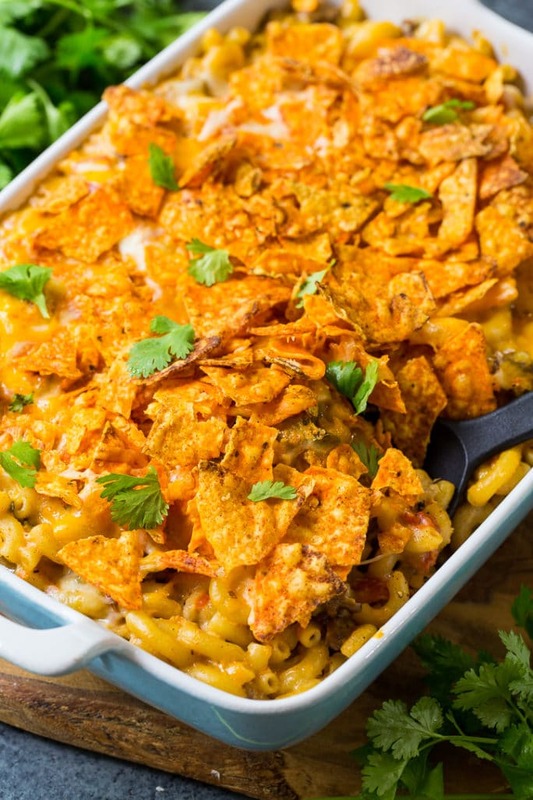 Nacho Mac & Cheese is the ultimate mac and cheese for Mexican food lovers. It’s loaded with ground beef flavored with taco seasoning, 2 types of cheese (cheddar and pepper jack), jalapeno, onion, plus a can of diced tomatoes and green chilies. For a little crunch I added some crushed Doritos on top. 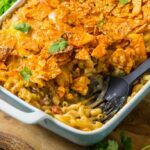 It’s spicy and cheesy and makes a filling one dish meal. If you like cilantro, sprinkle a little on top. 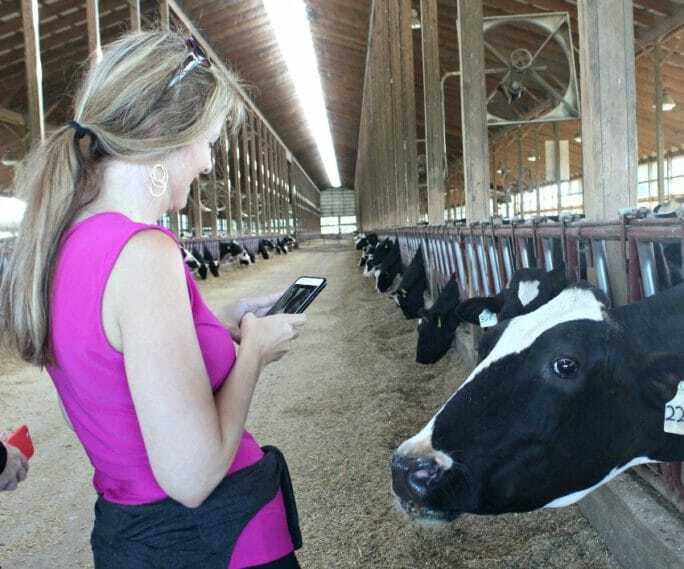 Several weeks ago I had the pleasure of attending a tour of dairy farms in Ohio with the American Dairy Association- Mideast. 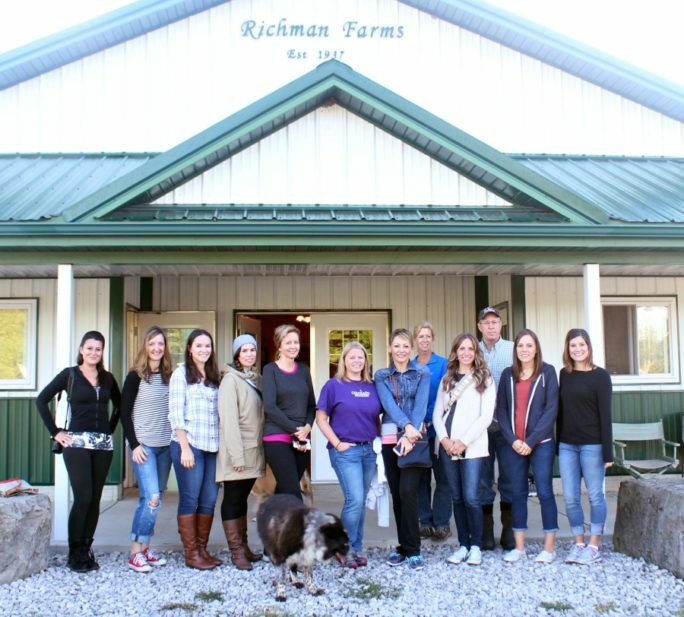 We visited 2 farms, Richman Farms and Clardale Farms, to get and idea of how a small and large-sized dairy farm are run. We also visited Pearl Valley Cheese where we got to learn all about the cheese making process. I learned so much about how milk goes from farm to fridge! And saw so many cows. Lots of cows! Plus I got to try my hand at milking a cow. Not as easy as it looks. We learned that in terms of quality, safety, and nutrition, there’s no difference between organic and regular milk. ALL milk is tested for antibiotics and milk that tests positive for antibiotics is discarded. 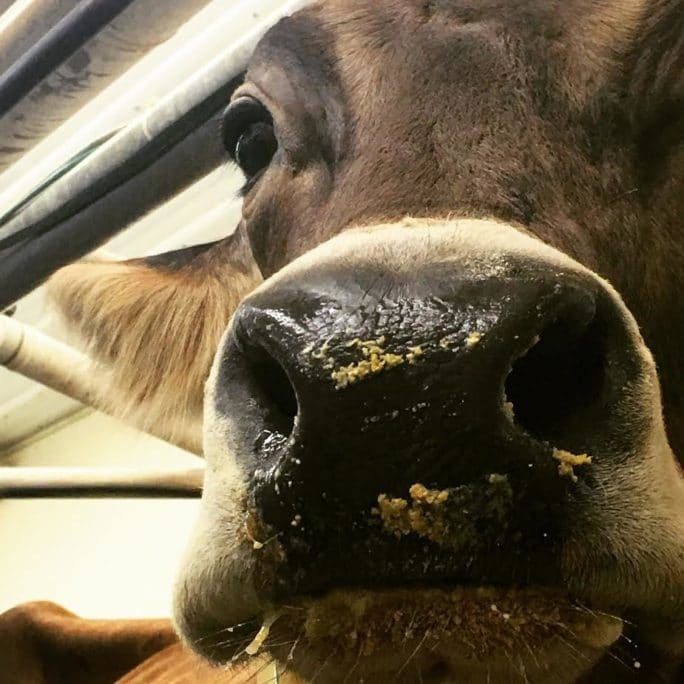 Non-organic farms are able to treat sick cows with antibiotics, but the milk does not enter the milk supply . We also had the opportunity to attend an local elementary school to learn about their breakfast program, which of course includes milk. 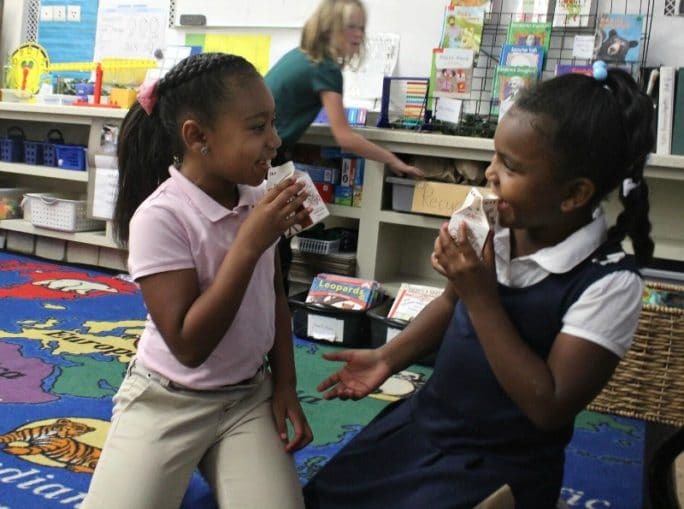 They have a very neat program that involves breakfast being served in the classroom instead of the cafeteria. We also got a chance to see their outdoor garden which was really quite impressive. 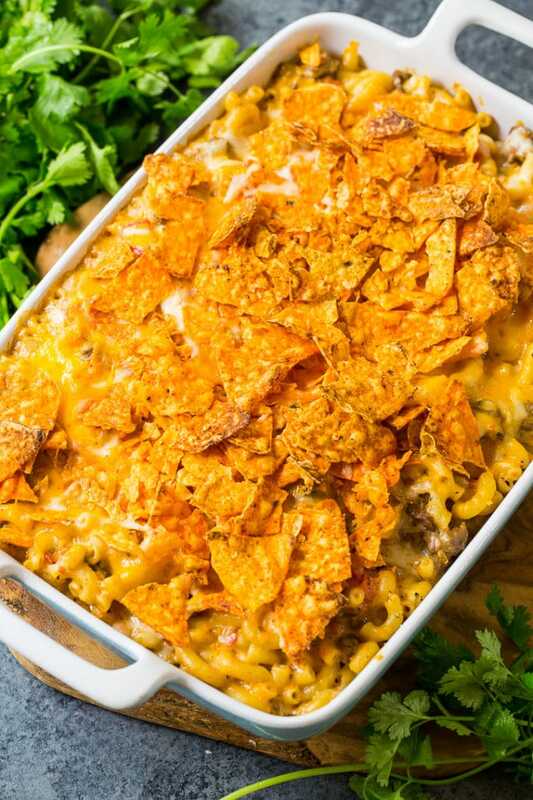 Nacho Mac & Cheese is the ultimate mac and cheese for Mexican food lovers. Heat oil over medium-high heat in a Dutch oven. Add ground beef, onion, and jalapeno. Cook, breaking ground beef apart with a wooden spoon, until beef is no longer pink. Sprinkle taco seasoning over ground beef. Stir to combine. Transfer ground beef mixture to a bowl and set aside. Add butter to same Dutch oven and place over medium heat. Once butter is melted, sprinkle flour over butter and whisk together for 1 minute. Gradually whisk in milk. Add can of Rotel. Simmer until mixture thickens slightly, about 3 to 5 minutes. Set aside 1/2 cup of Pepper Jack cheese and 1/2 cup cheddar cheese. Add remaining cheese to Dutch oven and remove pan from heat. Stir until cheese is melted. Add meat mixture and stir to combine. Add cooked macaroni and stir to combine. Sprinkle the cheese that was set aside and the Doritos on top. Place in a 350 degree oven and bake for 20 to 25 minutes. Thank you ADA for hosting me on such an amazing trip! If you’re a Mac & Cheese Lover this Creamy Mac & Cheese is a must try! I am wondering why this recipe couldn’t be prepared using tje dutch oven mentioned in the directions, using charcoal brques to finish it instead of in the oven ? This looks amazing, my husband and I love hot and spicy. I will definitely be making this! I can’t stay away from your page! I mean, how could I with a mac n cheese that looks like this! 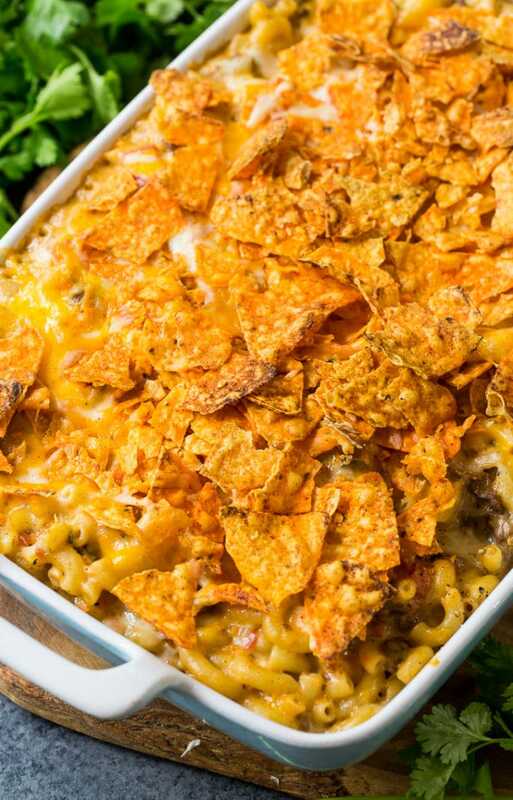 Cannot wait to make my kids’ (and my own) night with this cheesy concoction! Sounds like you had a great trip, Christin! I loved seeing your pictures! And this mac ‘n cheese is calling my name. Looks SO good, especially with that zesty flavor! It is delicious, I love Mexican food, thic is creamy and chessy and seems filling. See it has butter, milk, cheesy, extremely creamy and lovely flavours. Good to see the cows in the farms you visited as well, nice to know milk that is quality and of good nutritive value comes to us weather it is from Organic or non-organic farms.